Panvel is the historic city located in Raigad district of Maharashtra state, which is popularly referred to as the gateway of Konkan. It is the city where Navi Mumbai ends and majestic land called konkan starts. In the historic times Panvel was popular for its historic as well as cultural places. With the extension of local trains till Panvel, the city has gained lot of importance in recent years. Visiting Panvel and its nearby places has become more convenient. There are many places in Panvel for one day picnic like Gaadheshwar, Sankashi, Barwi dam, Zenith waterfalls and Pandav Prapat. Gaadheswhar dam is beautifully enveloped between Chanderi, Mhasmal, Matherian and Peb hills. This dam just eight km from Panvel, attracts many one day picnics. Main attraction of the region is the river crossing at Dudhani village. One has to take a small trek to reach the scenic dam surrounded by hillocks and lush green paddy fields. Sankashi fort on the road to Bhendewadi can be accessed upto the base near Durgah. The fort tucked on a height of around eight hundred feet is easily accessible. Barvi dam on the incredible Barvi River is also one of the best places to go for a one day picnic. This beautiful dam is supplying water to the cities of Mumbai and Navi Mumbai. Zenith waterfall is the best location to visit during the onset of monsoon. The gushing waterfall is like a canon splashing gallons of water from a great height. Pandav prapat or Pandavgad falls are the exotic waterfalls near Kharghar. Apart from these, there are many other hot spots for one day picnic, but the most favored picnic sport remains Karnala, offering many attractions for weekend picnics. At Karnala near Panvel you will be welcomed by panoramic resort, a majestic venue for one day picnics. 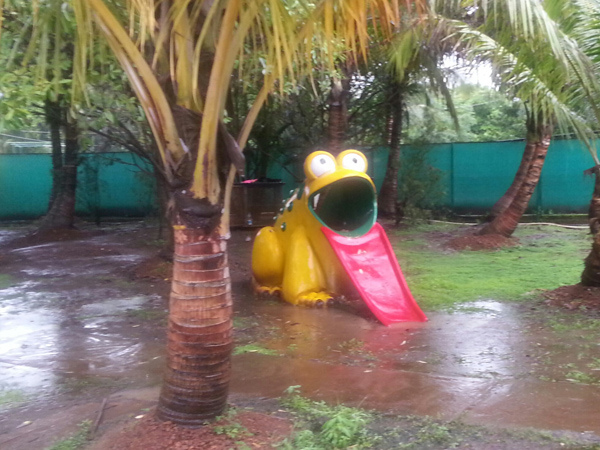 While visiting our resort you can enjoy the water sports and crunchy meals at affordable rates. This one of the most preferred resorts near Panvel guarantees a fun filled picnic in the arms of nature, with your family and friends. Our resort is the best venue of one day picnics in Karnala. At our resort we have every arrangement to organize your family events, group events and even major events like wedding or birthday celebrations. Due to the availability of a huge lawn and ample parking space events arranged at our resort can be celebrated more comfortably. Visit our website for gathering more information on the special events organized frequently by our resort management. Trust if you are looking for a suitable gateway near Mumbai, Karnala is one of the best places to visit. It can be described in one word as a refreshing break from the hustle bustle of the metro city. This travel guide to Karnala specifies all the relevant factors and parameters of how to reach Karnala and the tiny bird sanctuary at Karnala in Raigad district. It is wellknown for existence of around one hundred fifty resident birds and about forty migratory bird species. 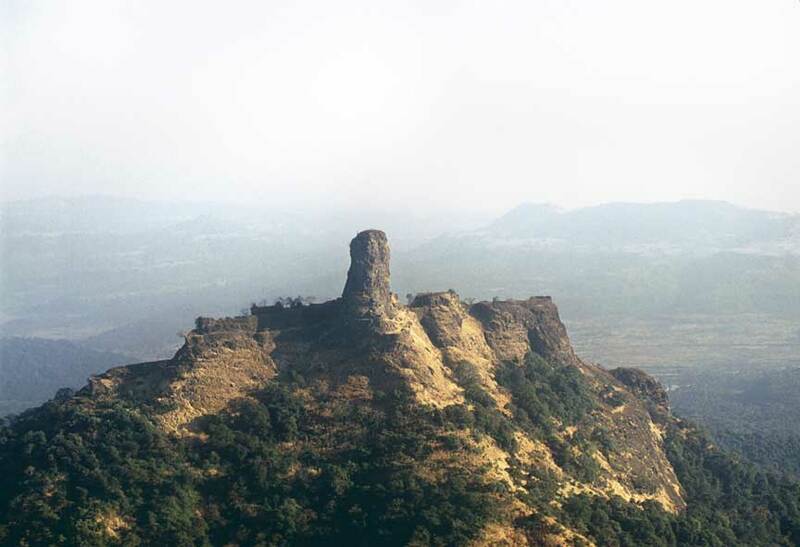 Other attractions of the destination are the ancient fort located on the top of a hillock with a thumb shaped pinnacle which is the unique landmark of the region. Karnala can be reached from Mumbai by NH 17 which is also referred to as Mumbai Goa road. Karnala bird sanctuary is just sixteen km from Panvel, which is the major historic city having many historical and tourist places in its vicinity. Karnala bird sanctuary is located at a distance of fifty five km from Mumbai, fifty one km from Thane and seventy two km from Borivali in the western suburbs. Pune to Karnala bird sanctuary distance is one hundred and nineteen km and can be travelled by NH 66. There are state transport busses as well as auto rickshaws plying regularly between Panvel and Pen. It takes around two and half hours to reach the bird sanctuary from Mumbai. Located in the mountain ranges of Western Ghats it is surrounded by many hills and Patalganga River which flows in the east of the fort. The dense vegetation of the region is classified as moist deciduous forests containing mango, koshimb, kalam and asana trees. A leisure walk through the jungles is the best activity, which may offer some exclusive views of the rich bird species available in the vicinity of the sanctuary. October to April is the best time to visit, which is supposed to be the migrating season of the birds. Weather of the destination shows hot summers and pleasant winters with medium rainfall. Winter brings many beautiful migratory birds to this region. There are plenty of places to visit in Karnala and a few hotels at the entrance of the bird sanctuary as well as on the highway. If you are looking for a cheap and affordable place to eat and relax then Panoramic resort just 2.4 km from the sanctuary at a three minutes drive from the sanctuary towards Panvel is the most ideal venue. Our resort contended with every basic facility will offer you all the pleasures of enjoying a day in an identical ambience of the mountains. Call it a 'Trekker's Paradise' or 'Fort City', Karnala has become a favorite among many tourists. The growing number of trekkers and eco-tourists visiting this region has given a boost to Karnala tourism in the past few years. It sits amidst beautiful natural surroundings comprising of mountain ranges and dense forests. Ruled by several empires in the past, this area was of great importance during the rule of Marathas. Best time to visit this place is between the months of November and February, when the climate is pleasant and best suited for various activities. A major attraction of this region is the Karnala fort, which is believed to have been built by Devagiri Yadavs between the 13th and 14th centuries. This historical fort in Karnala was also under the rule of Gujarat Sultanate and the Portuguese for some time. During the late 17th century and mid 18th century, Marathas and Mughals gained control over it on different occasions. The British eventually captured this fort in the early 19th century and controlled this region till India gained independence in 1947. Among other Karnala attractions is a bird sanctuary, which is located at the bottom of this fort. The abundance of birds belonging to different species attract many bird-watchers, who also visit this region frequently. 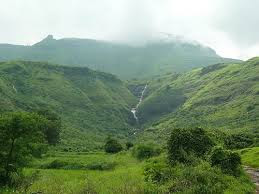 Tourists can reach this region without any hassles, as it is easily accessible from Mumbai and Pune. There are many weekend getaways near Karnala for tourists to spend their holidays. They can book their accommodation in Panoramic Resort, which is located close to the bird sanctuary. This popular resort has 53 well-appointed rooms and added amenities, such as, a well-equipped gymnasium, children's park and a water-park. Guests of this resort can also have ample space for parking their vehicles, while a multi-cuisine restaurant and bar offers them some delightful treats.